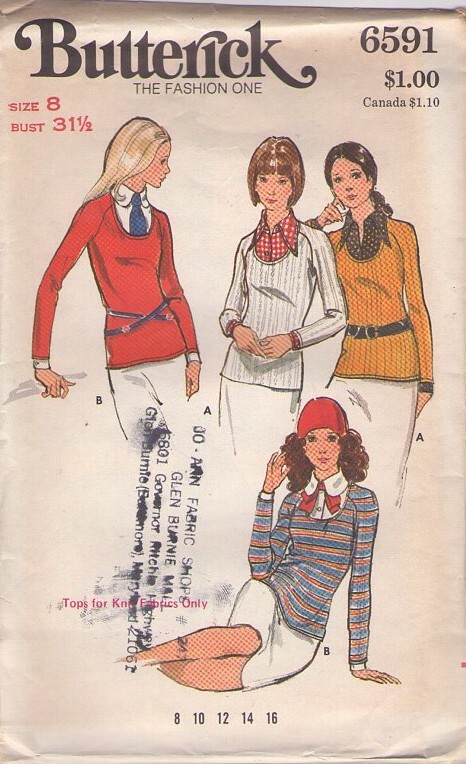 Bust 31.5", Waist 23", Hips 33.5"
70s Hipster, Retro Petite Clothing Patterns - MISSES' TOP,DICKIES & CUFFS. Close-fitting top (for knits only) has scoop neckline, full length raglan sleeves, and topstitch trim. Detachable dickies have pointed or rounded shirt collar. Detachable buttoned cuffs. Purchased bow and tie.